When a friend or loved one suffers a loss in their life, we want to help in any way we can. While the “thoughts and prayers” are surely appreciated by people, it is the legitimate actions that truly help to make lives run more smoothly during such a difficult time. When going through a hard time in life, we most value those who went out of their way to help us or our families feel loved and cared for. These actions will make them feel they’re not facing this challenge alone. 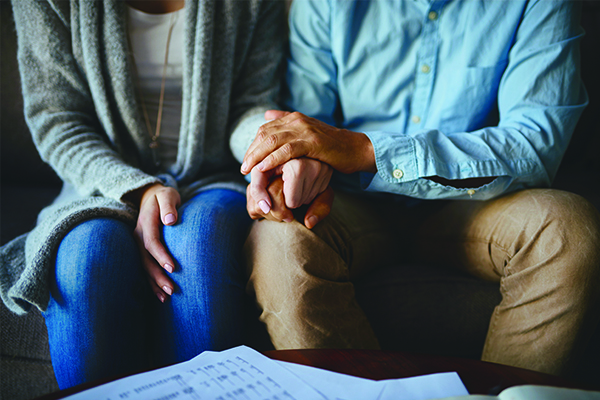 Here are ways to help those who’ve suffered a loss. Cook them meals- This is likely the most common way to help someone out, and is always greatly appreciated. When people are going through hard obstacles, often the last thing they do is cook for themselves, and likely resort to take out of frozen meals as a result. Cooking them some homemade meals for a few days, or weeks, ahead will leave them with one less thing to worry about. Not into cooking? Purchase a gift card to a grocery store with a deli or a restaurant. Entertain the kids- Take their children out to a movie for the day, or picking them up from school for the week, this will give the parents a much-needed break and take some time for themselves. Also, this will allow the kids the chance to take their mind off the added stress to their family. Help around the house- Clean up the house for them, or mow their lawn. Taking the initiative to help with chores will take something off their plate and allow them to focus on taking care of themselves and grieving at their own pace without having to worry about the small tasks getting in the way. Offer emotional support- Although there’s a chance your friend/loved one may be overwhelmed with support from others, offer to sit down and listen to them over a cup of coffee, providing a support system is crucial during this time, and will make them feel like they’re not alone in what they’re going through. Send gift cards- Maybe you can’t physically be with them during this time, but sending over a couple gift cards will help them out and let them know you care. Most likely there are other people who want to take action to help out as well, gather money from a group of people and send over a couple gift cards for coffee, food, etc. Acknowledge the tough times- The truth is, when someone experiences a loss the grief doesn’t just come to a halt. Grief comes in waves, and your friend or loved one will most likely experience tough days for years to come. Perhaps your friend lost her Dad, give her a call or shoot her a text on Father’s Day to let her know you’re thinking of her that day. Acknowledging the particularly difficult days will let them know they don’t have to face them alone.